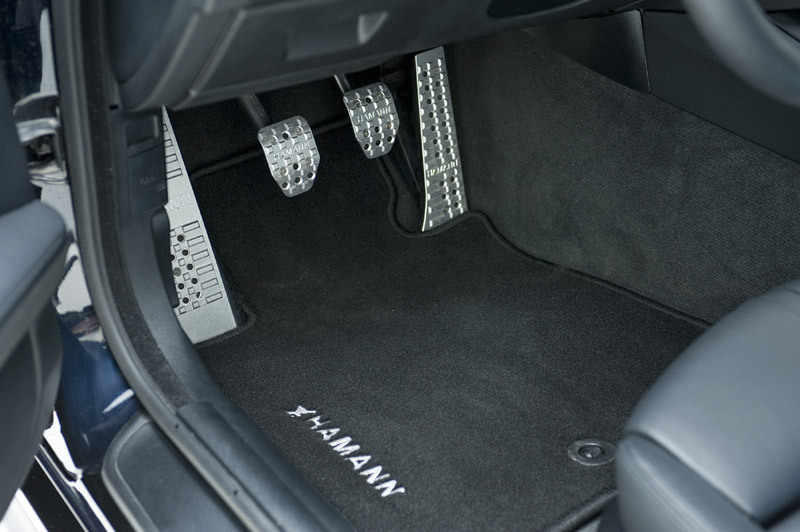 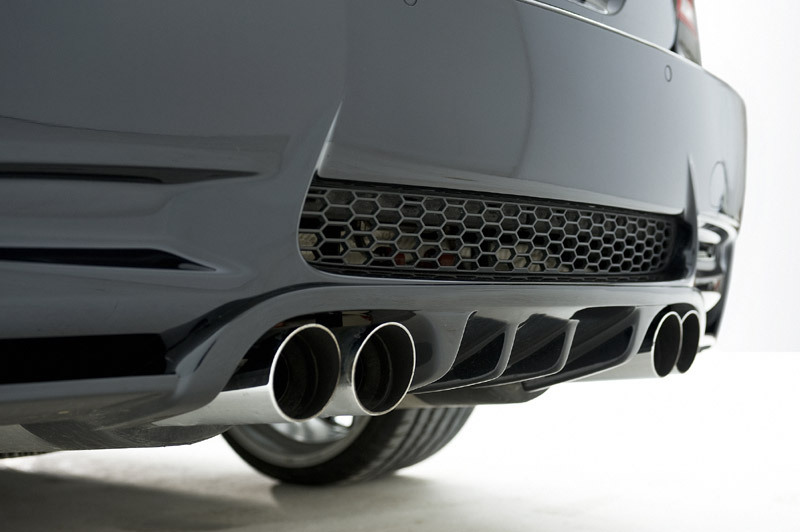 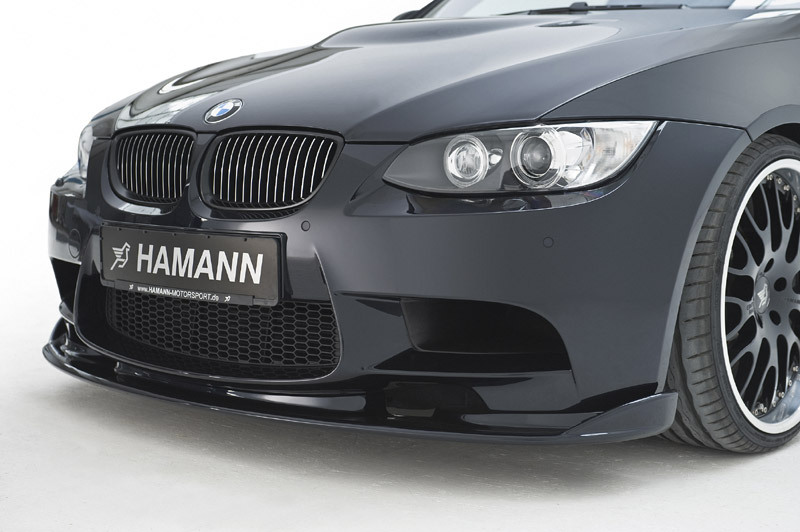 HAMANN has just released a tuning package for the V8-powered BMW M3 Coupe E92 that incorporates a series of mechanical and cosmetic upgrades. 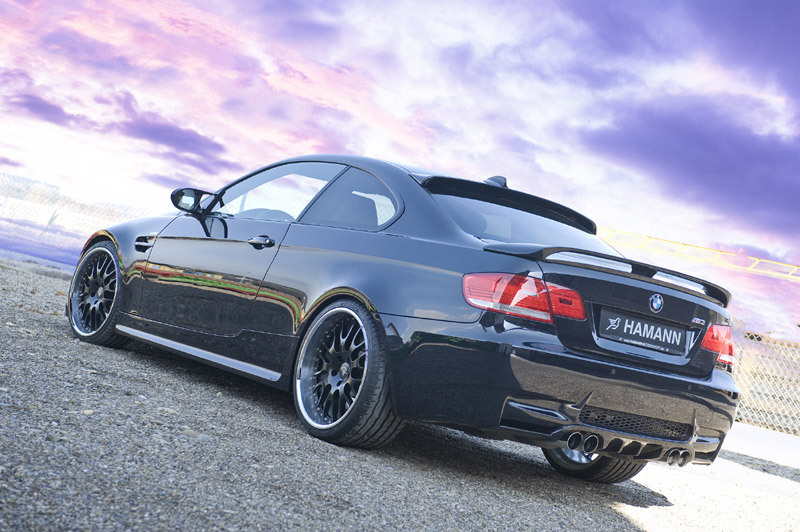 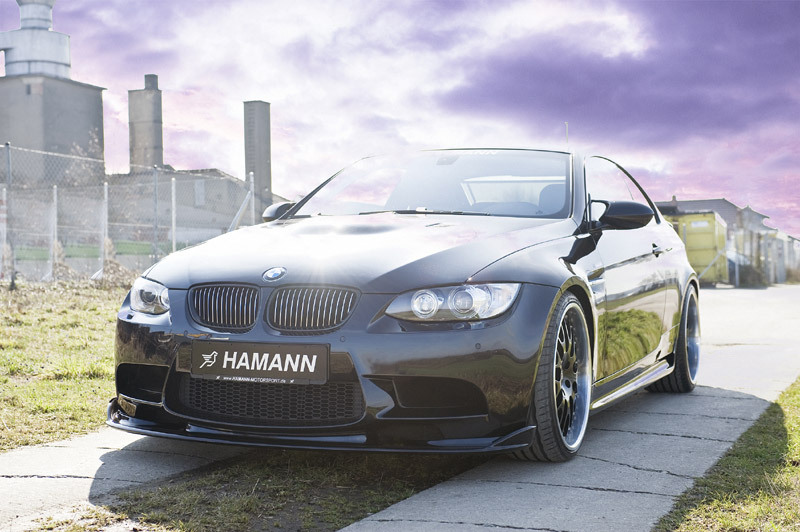 While the majority of us would be happy with a standard M3, HAMANN wasn't satisfied with a stock version, they offered two upgrades. 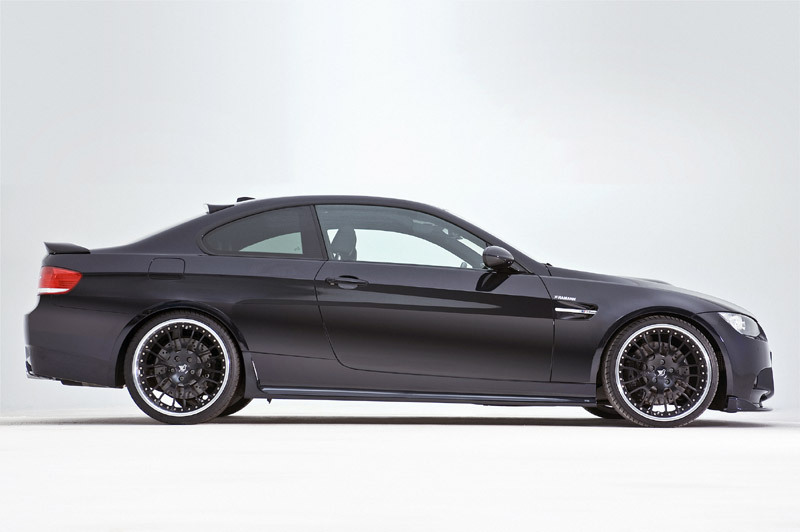 The first tuning package increases the 4.0-liter V8’s output to 435 Hp and delivers an additional 25 Nm of torque (series: 400 Nm) on the crank shaft. 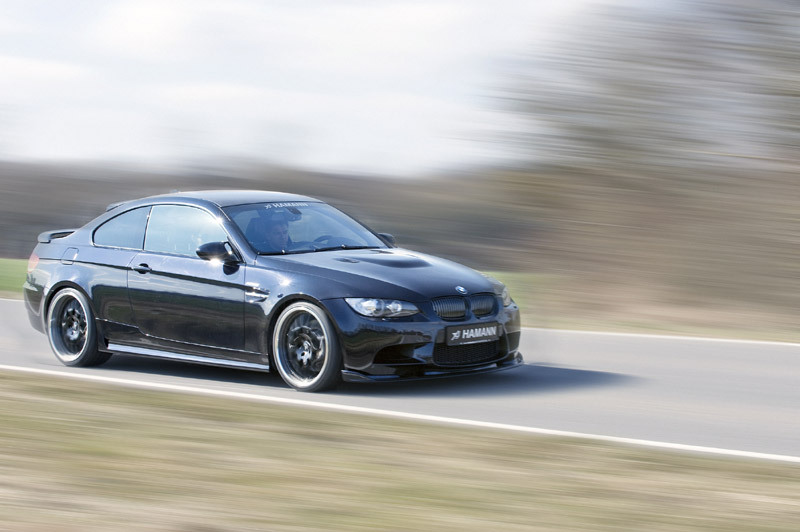 With the removal of the speed limiter, the M3 can go up to a top speed of 300 km/h or 187 mph. 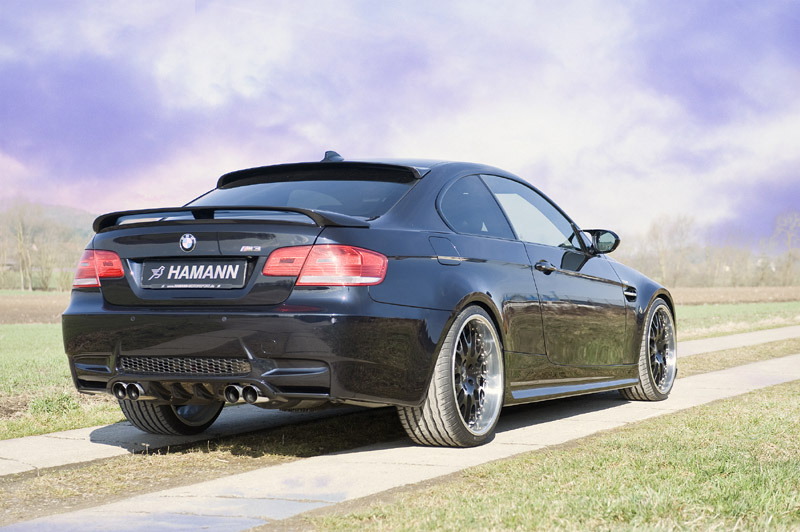 The second kit called Sportkit HM/M +35 rises output to 455 Hp and toque to 448 Nm. 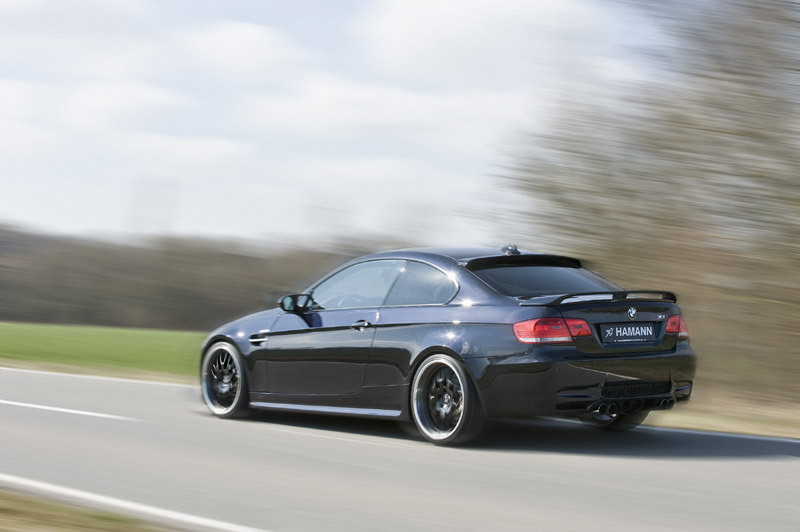 In this case, the M3’s speedometer doesn’t stop until it reaches 320 km/h or 199 mph. 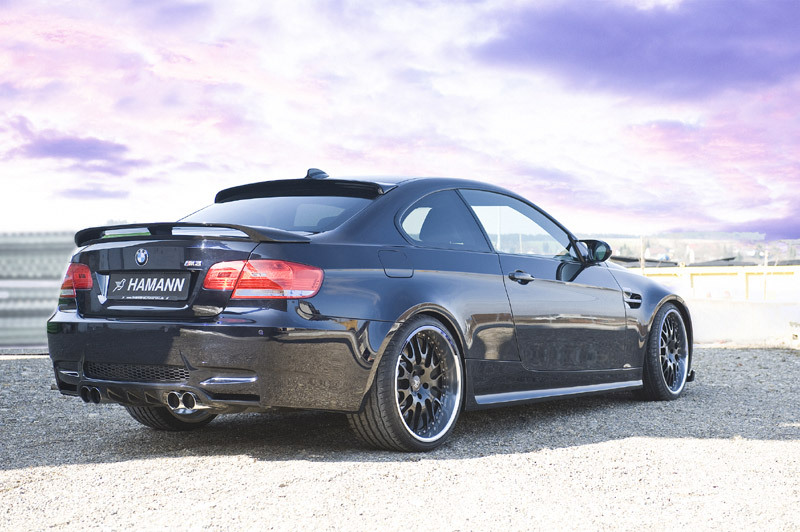 They upgrade the already perfect suspension and brakes. 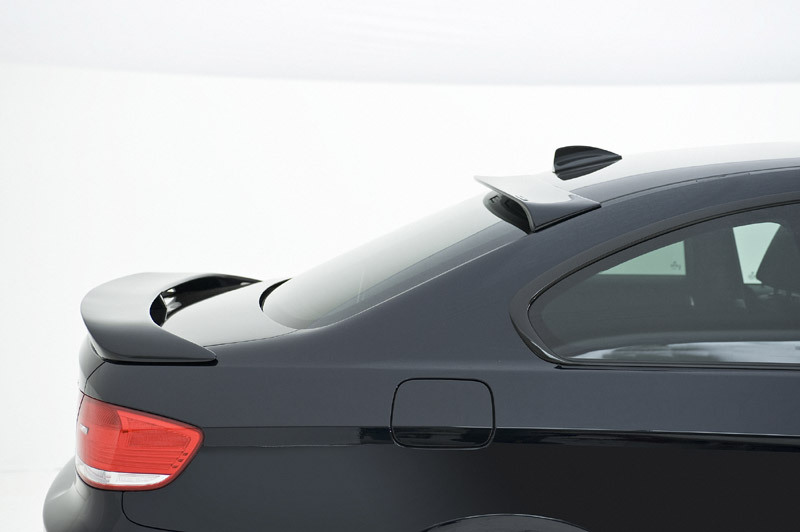 The car looks amazing until you see the spoiler, for me the spoiler kills it. 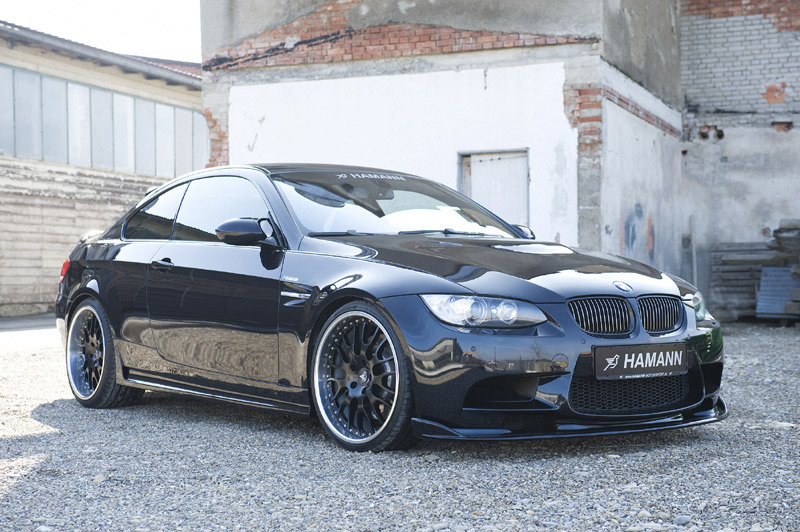 I was so happy when I saw the car especially since I love black on black,with black rims but that spoiler is too much, but if I took the spoiler out this what be the nicest M3. 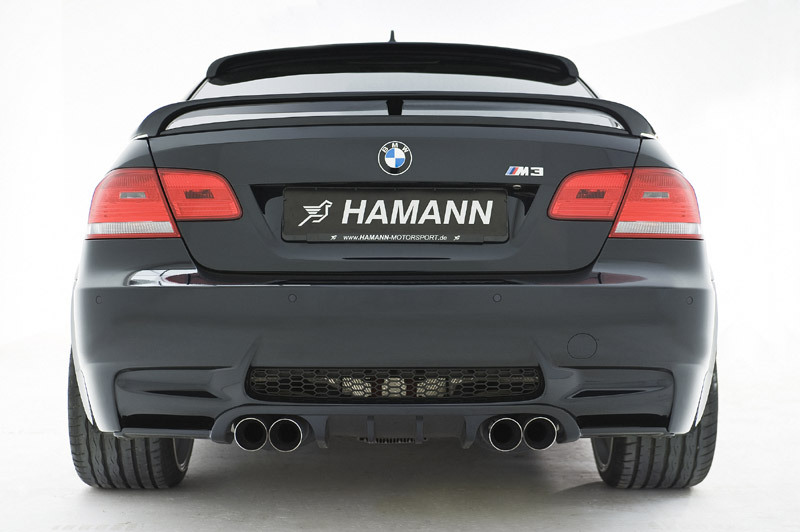 Personally, I'd also limo tint and black out tail lights maybe, but awesome job HAMANN. 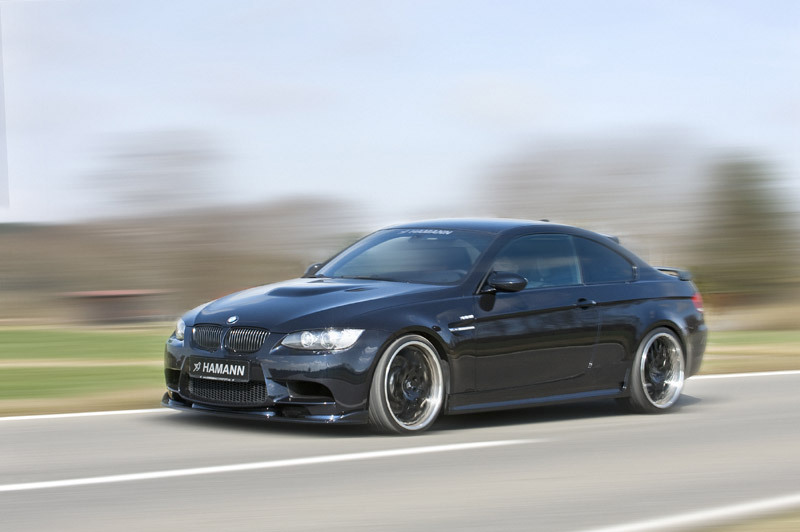 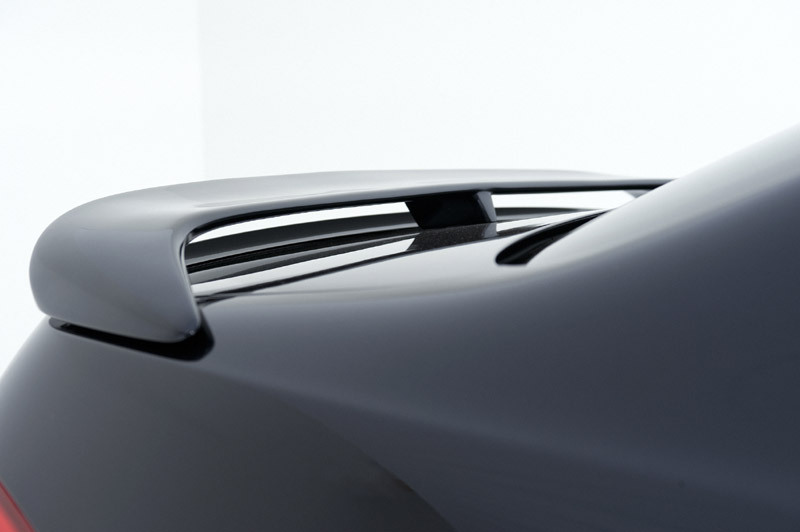 Check out pictures below[Source:Car Scoop]-More pictures after the jump!